We combine clever engineering with stylish design into modular stage set rentals that give you More Scenery for your money. 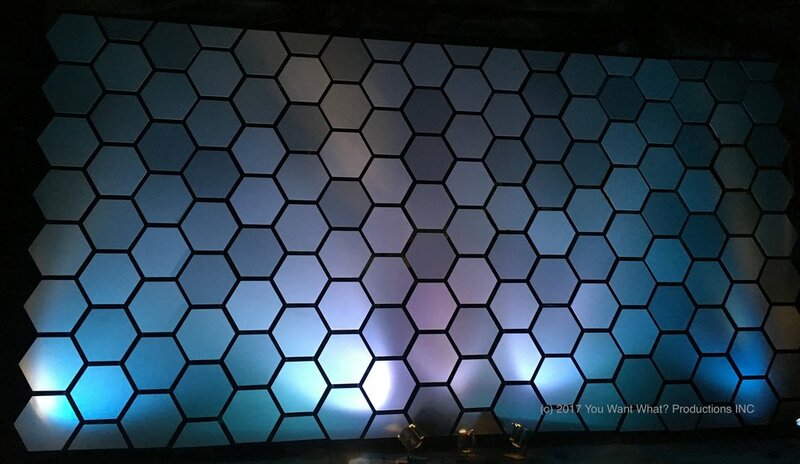 With customizable modular backdrop components perfect for general sessions, awards ceremonies, parties, and you-name-its, call on You Want What? Productions for striking staging rentals that will make your event memorable. If you’re an A/V company or producer we’d like to provide you with a presentation book (hard copy and electronic) and price list that you can have on hand to share with clients. Win jobs by having set ideas and pricing at your fingertips! Please contact us. Our rental sets travel light and are cost-effective whether your event is near our Denver home, our East Coast branch or across the country. Take a look at the sets and components in our inventory. Click any image for more info.